For the past year, teams of archaeologists have been scraping and digging at various locations on the ITER work site. An "archaeological survey" is required by the French law preliminary to any construction, whether it be a motorway, a car park or a fusion installation. Over the past months, the archaeologists mandated by the Agence Iter France have identified remnants of several charcoal burners on the ITER site, a lime kiln and a glassworks, dating back to the late 18th century. The "footprint" of history, discovered just outside the ITER premises. Now, a team from the National Institute of Preventive Archaeology (INRAP) has come up with a more spectacular find: next to the RD 912, the road leading from Cadarache to Vinon-sur-Verdon where the trees have been cut for ITER's hydraulic network, several tombs have been found. Presumably they were part of a small necropolis. 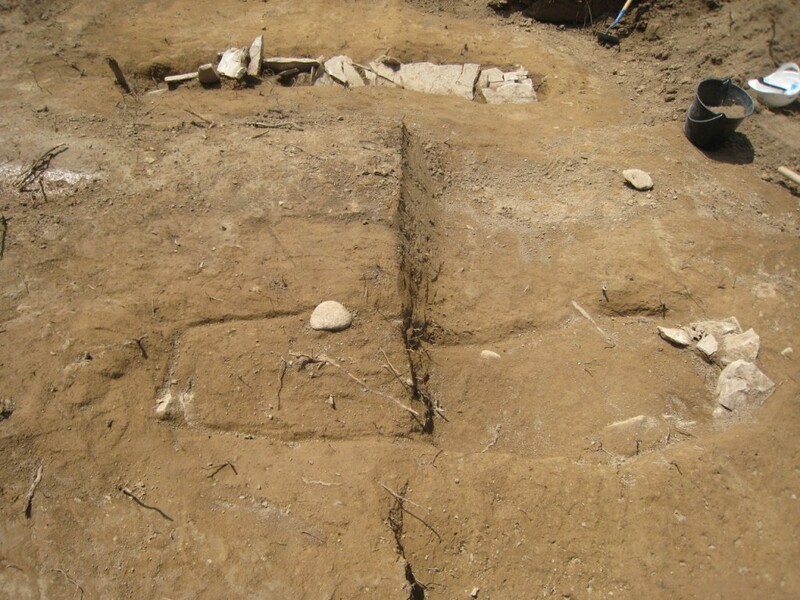 "Burial techniques of this kind have been common in Provence from late antiquity until the time of the Merovingian kings, so we are talking about a time span between the 5th and the 7th century A.D.", says Françoise Trial, in charge of Archaeology in the Bouches-du-Rhône department. Fifty years ago, when CEA-Cadarache was being built, excavators had brought to light a similar burial place, which is still visible inside the CEA/Cadarache centre. Some Bronze Age tombs were also discovered nearby, one of them containing the remains of both a man and a boar. "Probably some kind of offering", says Françoise Trial. The first survey of the newly discovered tombs is now completed. Their potential historical interest has prompted the INRAP to file a request for a "salvage dig", which, if granted, could begin in the coming weeks.